Do Some Damage: Joe Clifford. Author. Mentor. Mensch. William Wilkie Collins (The Woman In White, 1859) on his former friend and mentor, famed author, Charles Dickens. Let’s say you have the chops. You’ve got the talent. Editors and readers like your writing. You even have a few published stories under your belt. Still, you haven’t made it over the big hill. Yet. It might be time to consider a mentor. Someone schooled and tested in the world where you’ve planted your dreams. A person who knows who to talk to and who you may want to avoid. They can be honest with you about your weaknesses and properly, effectively push your strengths to even greater heights. They also want you to succeed. Luke Skywalker had Yoda and Ben. Daniel had Miyagi. Harry had Dumbledore. If you have been submitting stories you may have already met your Yoda. Editors can turn out to be your greatest secret weapon. Careful, clear edits with understandable explanations from a seasoned editor can be like a master class. If you’re really lucky you’ll find the editor that takes a liking to your work then goes that extra mile and becomes a teacher. What makes for a good mentor? That’s what we’ll explore today and for this we’ll look to a great example. Author and editor Joe Clifford has helped countless new writers, many of whom are now published and mentoring others. Joe, whose new book BRING OUT THE DEAD was released this past week, is acquisitions editor for Gutter Books and producer of Lip Service West, a "gritty, real, raw" reading series in Oakland, CA. His bestselling Jay Porter Thriller Series (Oceanview Publishing) has received rave reviews from Publishers Weekly, Library Journal, and the San Francisco Chronicle, among many others. 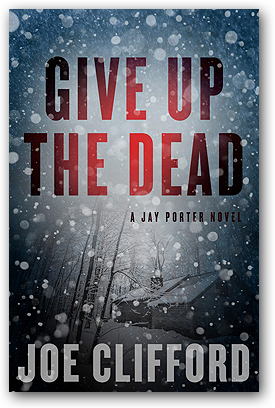 The third in the series is the above mentioned, GIVE UP THE DEAD. Joe is also editor of Trouble in the Heartland: Crime Stories Based on the Songs of Bruce Springsteen and the forthcoming Just to Watch Him Die: Crime Fiction Inspired by the Songs of Johnny Cash. 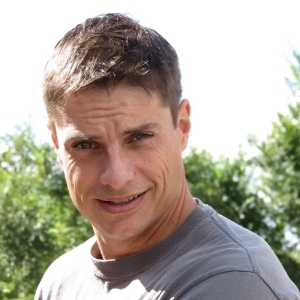 Currently Joe teaches online writing courses for LitReactor and around the country at various conferences and retreats. Even with his crazy schedule, Joe finds time to work with new talent. He has an energetic willingness to share his knowledge and expertise, even if that information stems from his own difficult past. He is committed to using his journey to guide others and that is essential when considering the personal and intimate nature of writing. Author Beau Johnson, whose first collection of short stories (A BETTER KIND OF HATE) sees publication this summer through Down and Out Books, remembers a particular instance when Joe’s colorful past played a part in the publishing of one of Beau’s first stories. “Joe was considering a particular story of mine called A Patient Man. If memory serves, he was on the fence about this tale set in the Big House. He asked if he could have a little more time with it, to let the new guy at the Gutter (Out of the Gutter Online), Tom Pitts, have a look. Low and behold, and along with an apology, Joe comes back saying he would be accepting it for publication. He didn’t have to explain his reasoning or why he needed more time with the story, didn’t owe me a damn thing to tell you the truth, but he chose to explain. Joe is very open with most of his life and history and if he thinks it will serve a positive purpose he’ll revisit his troubles to help teach someone, this personal commitment is key to the mentor mentality. A good mentor has a knack for pushing writers to develop their own strengths and talents, but also realizes honest and constructive criticism is necessary. The talented Nicky Murphy, Daddy’s Girl (2012), remembers her first experience receiving edits from Joe. A good mentor will be in your corner even when you’re unsure of your future. Joe has been one of my biggest cheerleaders. He’s read and edited several of my shorts, even those not for Out of the Gutter. Dear readers, when I found out that All Due Respect would be publishing my first novella Joe jumped into action and provided me a list of the things I needed to get done. New bio. Amazon Author Page. Facebook. So many things. We even talked on the (gasp) phone. During the talk, Joe asked how far I wanted to take this writing thing. After that he understood my goals and knew how to help. From there he hooked me up with folks who needed stories like mine and started conversations for me with professionals and readers who might be able to open new doors. That helped me develop my own plan of action. Ask questions of your favorite editor. Talk to other authors. Get yourself a big brother or sister to help knock down doors and climb big hills. Develop new and exciting ideas. Take over the world, but don’t forget to pay it forward. If you’ve been helped please return the favor. Like Joe Clifford. To learn more about Joe and his catalog of work please visit his website (http://www.joeclifford.com) and his Amazon author page. Special thanks to Nicky Murphy and Beau Johnson. Please visit the links below to read works from these two great authors. 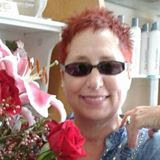 Please check out Authors on the Air. 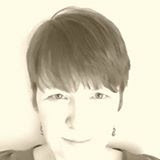 Pam Stack will introduce you to some great new writers and probably interview those you already love. It's what she does.